So you’ve scouted your plane ticket for weeks and you finally found that perfect deal. Maybe you’ve got a business or study abroad trip with a little extra wiggle room. However you’ve made it here, you’re aiming to see as much as you can for as cheap as you can, and we’re here to help you with backpacking South Africa. South Africa is one of those brilliant countries, rich in old culture and new. You can get your fill of the big five on a safari, ride the Ferris wheel over the V&A waterfront in Cape Town, spend a day wine tasting in the Cape Winelands, or fulfill your dream of jumping off the tallest commercial bungee jump in Tsitsikamma National Park. The land plays host to desert and Mediterranean climates, as well as bucket list stops like the Cape of Good Hope and Robben Island. The adventures are endless, but since our time and funds are not, a little planning goes a long way. The first thing to remember is that South Africa is in the Southern Hemisphere. When the hot months hit the northern hemisphere, the cold ones creep through the southern half of the world. 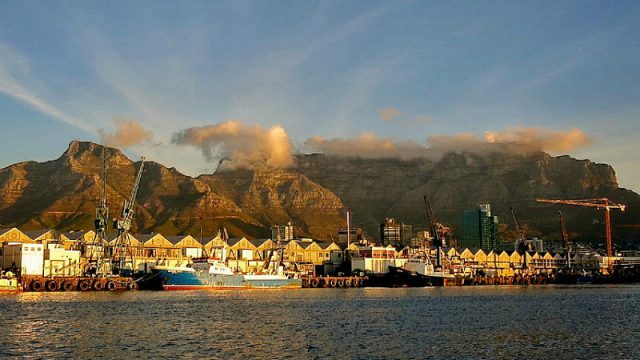 In Cape Town, June temperature average between 65º F and 45º F, and they are hottest in February. If you see a Kruger safari in your future, take advantage of the slow season for tourism and visit between May and September. Just be sure to wear layers, as the mornings and evenings in the open-air trucks can be more than just a little nippy. Most of the school holidays happen in December, so if you want to escape the heat and the crowds, grab your good jacket and a few pairs of wool socks and book your flight for May. As a longtime host to those with wanderlust, South Africa has superb and affordable hostels and they range in experience from calm and quiet to party centrals. A hostel is the ideal spot to pick a starting place, chat with a few fellow travelers, and find your adventure from there. Some places you can see in a day and move on, but at others, you might want to stay more than just a night or two. Budgeting in an optional day or two between different places would benefit you, too. To get from city to city, the Baz Bus hop-on hop-off ticket is popular and gives you more freedom than a Greyhound ticket or a flight. Here are a couple of options for where to start. 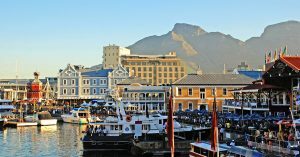 Cape Town is popular with tourists, which gives you a slew of options depending on how much you’re ready to spend. Splurge or not, this place is a playground. Grab yourself a room at the Ashanti Lodge at the base of Table Mountain, and if you don’t want to do the four-hour round-trip hike up and down, the trolley will carry you up to the magnificent view over the city. Afterwards you can walk to Long Street for lunch at Lola’s; catch a free walking tour around the colorful streets of Bo-Kaap or the heart-wrenching District 6; then wander the Green Market Square for knickknacks until the bars of Long Street start bumping. If you’re into history, hop on the ferry to Robben Island where Nelson Mandela was imprisoned and get a tour from a previous prisoner. Get more ideas about what else you can do and see in the Mother City here! If you love museums, you’ll love Johannesburg. Grab yourself a bed in the dorm at Curiocity Backpackers and keep an eye out. You might just see one of Nelson Mandela’s grandkids, Mbuso, who hangs out there on occasion. While in Joburg, make your way to the Cradle of Humankind, a UNESCO heritage site where some of the oldest fossils of our ancestors were found. The Apartheid Museum is an important, sobering experience. To see the whole thing, be sure to set aside a long afternoon. Another option is the Liliesleaf Museum, the old secret headquarters of the African National Congress in the 60s, where you can learn all about South Africa’s struggle for liberation. Stellenbosch is in the heart of the Cape Winelands, and the Dutch/Afrikaner roots are visible in the architecture. Take a bike tour of a few wineries and drink all the pinotage, chenin blanc, and shiraz that you could want or make friends with an Uber driver, and they may take you on a personalized tour. Afterwards, to get a taste of modern Xhosa culture, grab a dinner of pap and sous and watch the show at Amazink Live in Kayamandi, the township next door. Bohemian Lofts Backpackers is a solid choice for a hostel, located in an old art museum. If you’re an experienced diver, then Durban may be your dream–or nightmare–come true. While you can dive with sharks in Cape Town or Mossel Bay, Durban is known for the great white sharks that live in the surrounding waters. If you aren’t an experienced diver but still want to say you’ve looked a great white in the eye, fear not. Cage diving is also available. Curiocity Backpackers also has a branch here! If finding heart-pumping adventures in nature is what you’re looking for, Tsitsikamma National Park is your destination. Dijembe Backpackers is in the middle of the park, and it’s a great place to relax. They provide activities–including a free drink upon arrival–but you can find adventure tours that will send you ziplining past monkeys in the jungle or hiking alongside brilliant waterfalls. It’s in Tsitsikamma that you can find the Bloukrans Bungy, the tallest commercial bungy jump in the world. Four seconds of free fall is sure to take your breath away. Coffee Bay is a hidden gem in a rural part of the Eastern Cape. Take the Baz Bus to the Coffee Shack and thank us later. They have excursions that bring you into traditional Xhosa homes. Taste home-brewed beer and learn to dance from a few local ladies–and remember to say enkosi to thank them–then the next day, wake up and go to surfing lessons. After lunch, hike over to the Hole in the Wall. It’ll all be worth your time. A good backpack is your best friend while traveling light anywhere, and South Africa is no different. A compact daypack will fit in most lockers at hostels, and they really do hold everything you need. Bring along a couple zipper locks to keep your wares nice and safe. You’ll likely use them for more than just your pack. For smaller valuables that you’d rather keep on your person, money belts will do the trick so you can go sans pockets. While it may be tempting to bring your DSLR to remember it all, if you have a smartphone with a camera that takes satisfyingly high-quality photos, consider leaving it at home. With Wifi available at most hostels, you can upload your photos to the cloud to avoid that dreaded “storage full” message. Investing in a memory card for your phone is another way to avoid stress on that front. Remember to keep your smartphone on airplane mode, and if you’re going to be gone for a long time, you can save money by asking your carrier about lowering your data. If your Snapchat game is important to you or you want the comfort of being able to call an Uber from anywhere, most major carriers have affordable international plans. For local connectivity, it’s easy to get a burner phone in-country so you can keep the numbers to your hostel or a taxi company on standby. To charge your phone or other electronics from home, you’ll need a converter to fit the three-pronged standard plug (type D, M or N). Buying a few is a good idea, and you can find them for relatively cheap online. In terms of dress, South Africa is more fashion-forward in metropolitan areas. In the tradition of the Xhosa people native to the country, usually married or older women wear long, conservative skirts, but there aren’t many other rules to follow here.